30 kms from Kumbakonam, Mantra Koodam is situated in the village of Veppathur. Kumbakonam refers to the ‘kumbha’, or mythical pot that contained all seeds of life, displaced by the dissolution of the universe until it came to a rest at where this town stands. Enter into a world of otherworldly charm at Mantra Koodam, 6 km from this spiritual spot. 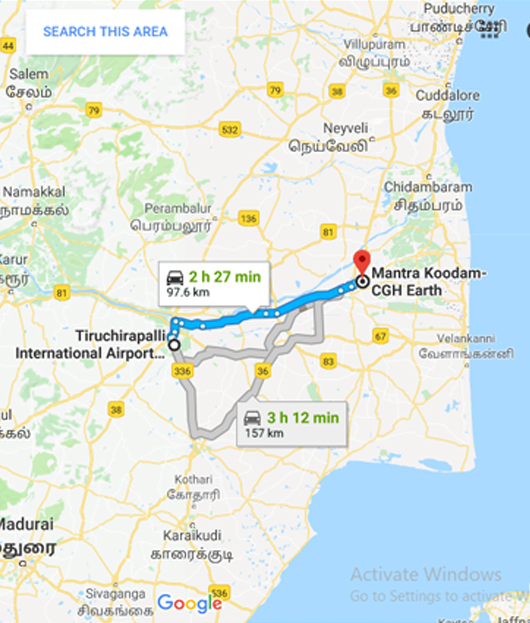 A region dating back to the Sangam period, Kumbakonam rose to be a prominent city between the 7th and 9th centuries AD, when it was occupied by the mighty Cholas. During the British Rule, the town became a prominent centre of European education and Hindu culture, acquiring the name “Cambridge of South India”. 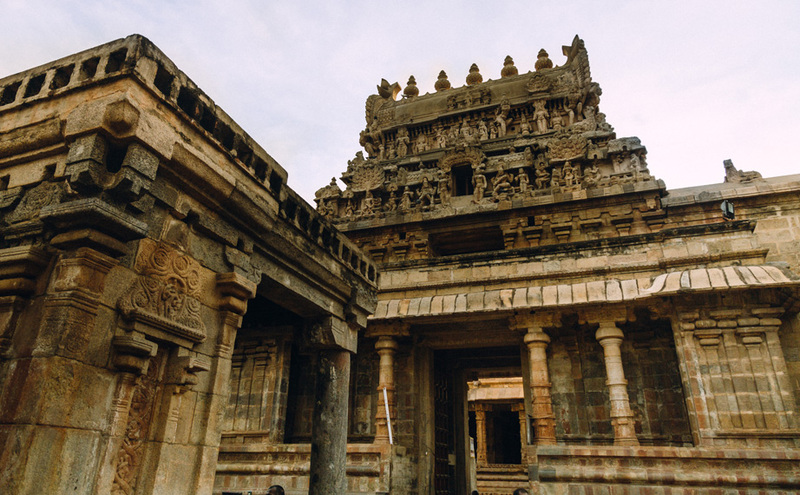 The town is located right at the heart of the celebrated temple trail of South India, just an hour from Tanjavur. With over 5000 big and small temples spread across its landscape, it is rightly called the ‘temple town’. Spread over 15 acres, the property is flanked by the Veera Chozha and Cauvery rivers on either side. A destination that’s serenaded by the sound of gushing rivers, chirping birds and the chimes of a divine experience. Experience village life As you explore the countryside, you will experience its many rustic charms; from plentiful greenery to unique lifestyles. A rural odyssey Tanjavur is known as the 'rice bowl of Tamil Nadu'. Glimpse endless expanses of paddy fields, gleaming beneath blue skies. Thriving with colourful cultures As you step into the market, you will encounter many sensory delights - with colours, scents, tastes and sights that stay with you for long. A showcase of timeless craftsWitness local art forms that tell age-old stories. Collect souvenirs that capture favourite memories from your visit. Welcoming smiles Warm and lively locals welcome you into their vibrant world. At the threshold of tradition Watch traditional 'kolams' at the doorstep of every house - a custom that represents a welcoming home. Enter an ethereal memoryWhere your soul finds a home amidst the spiritual, historic and natural. The company of greeneryMornings here are best spent amidst the endless expanse of nature. Weaving magicThe weavers of 'Pattu silk' saris create rich pictures using impossibly fine threads, keeping a native art form alive.